A Reverse Polarity SMA BulkHead socket. Or RP-SMA BulkHead Female. For use with RG58 / LMR195 Cable. 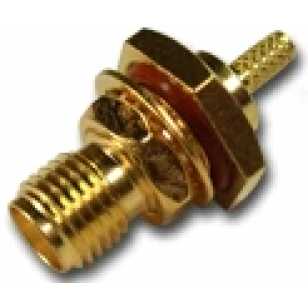 A Female Connector with a Male pin.